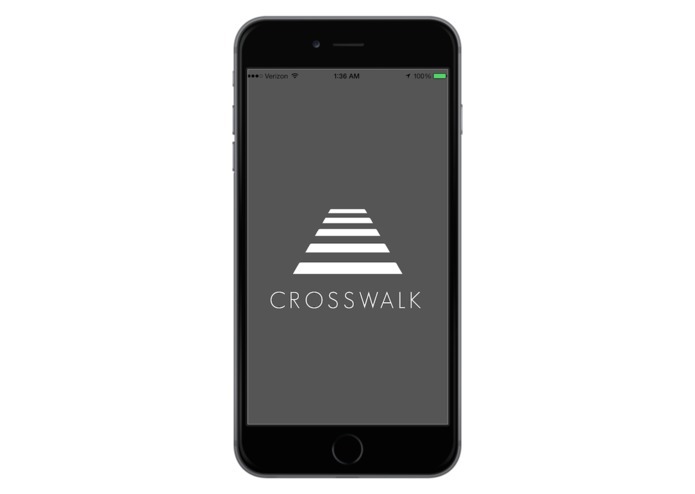 CrossWalk is inspired by a simple problem that didn't have a simple solution. People like texting, people often have to walk places. Separately, these are pretty basic tasks. Combined, they can turn a normal functioning person into a mindless drone that has no idea of his or her surroundings. 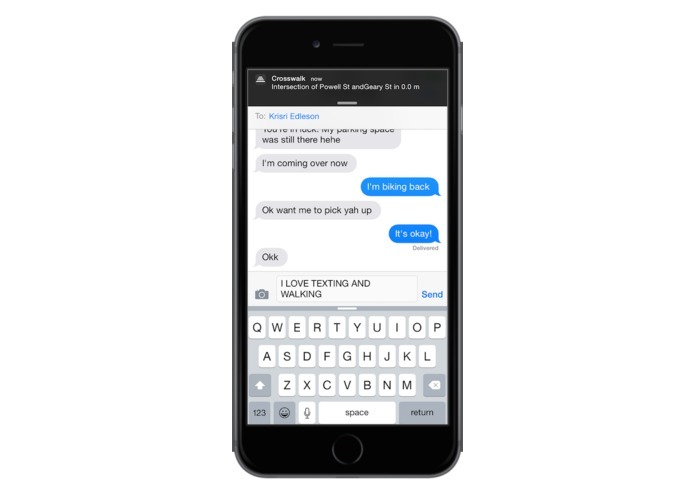 Sometimes, texting and walking leads to stumbling on the sidewalk or bumping into a classmate. Other times, someone steps into an intersection completely ignorant of his or her surroundings and oncoming traffic. While the former problem needs a reasonable amount of computer vision and phone battery to accomplish (and a number of people, including Apple, are trying), the latter can actually be solved in a much simpler, less processing intensive and equally effective way. GPS. 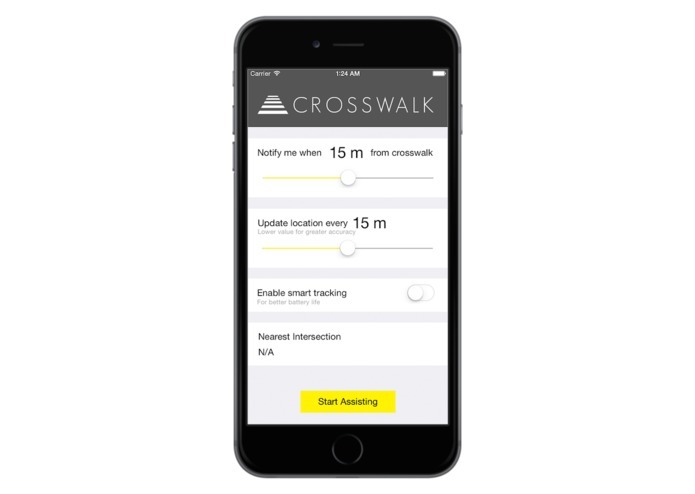 Surprisingly, before CrossWalk, no app offered the simple, and potentially life saving functionality of notifying a user when he or she is about to enter an intersection via GPS. So, I set out to make one. Obviously, CrossWalk is far from perfect. The most notable challenge is GPS accuracy and availability. However, from early testing, primarily because of the distance between intersections, the application can correctly notify intersections with reasonable reliability. The other challenge is battery drain with location services. The "smart mode" attempts to mitigate this, but in a dense city, the app may require a large number of location queries. Still, this battery drain is likely not significantly more than drain from the constantly running the phone's camera. The concept of using GPS to assist users navigating roadways could be used for drivers and bicyclists. Also, data from the app could be ported to local governments to provide insight into pedestrian traffic patterns in their cities/towns. This could allow cities to better ensure that areas where pedestrians are often walking are safe and well maintained. Even in its current state, CrossWalk provides user value. It is easy to use, runs in an unobtrusive fashion and could potentially prevent a serious accident.